Mahmoud Cherif Bassiouni born in Cairo, Egypt, in 1932, immigrated to the United States in 1962, is President of the Scientific Council of the Global Committee for the Rule of Law “Marco Pannella”. He is Emeritus Professor of Law at DePaul University where he taught from 1964-2009. He was a founding member of the International Human Rights Law Institute at DePaul University, which was established in 1990. He served as President from 1990-2008 and then President Emeritus. In 1972, he was one of the founders of the International Institute of Higher Studies in Criminal Sciences (ISISC) located in Siracusa, Italy, where he served as General-Secretary from 1972-74, Dean from 1974-88 and then as President to date. He also served as the Secretary General of the International Association of Penal Law from 1974-89 and as President for three five-year terms from 1989-2004 when he was elected Honorary President. Professor Bassiouni is often referred to by the media as “the Godfather of International Criminal Law” and a “war crimes expert”. His effort was crucial for the establishment of the International Criminal Court. 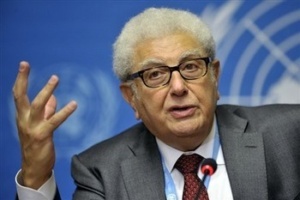 Since 1975, Professor Bassiouni has been appointed to 22 United Nations positions, including the following: Chair and then member of the Commission of Inquiry for Libya (2011-12); Independent Expert on Human Rights for Afghanistan (2004-06); Independent Expert on the Rights to Restitution, Compensation, and Rehabilitation for Victims of Grave Violations of Human Rights and Fundamental Freedoms (1998-2000); Chair, Drafting Committee of the Diplomatic Conference on the Establishment of an International Criminal Court (1998); Vice-Chair of the General Assembly’s Preparatory Committee on the Establishment of an International Criminal Court (1996-98); Vice-Chair of the General Assembly’s Ad Hoc Committee on the Establishment of an International Criminal Court (1995). To date, Professor Bassiouni has authored 24 books and co-authored 4 more, edited 46 books, testified before the U.S. Congress 18 times and authored 256 articles on International Criminal Law, Comparative Criminal Law, Human Rights, and U.S. Criminal Law that have been published in various law journals and books. Additionally, he has written 14 monographs on such subjects as history, politics, and religion. Some of these publications have been cited by the International Court of Justice (ICJ), International Criminal Tribunal for the Former Yugoslavia (ICTY), International Criminal Tribunal for Rwanda (ICTR), the European Court of Human Rights, and the highest courts of: Australia, Canada, India, Israel, Trinidad and Tobago, South Africa (Supreme Court and Constitutional Court) and United Kingdom (House of Lords, Court of Appeals, High Court and Divisional Court of England & Wales, and Scottish High Court of the Judiciary), and New Zealand. In the United States, the U.S. Supreme Court, U.S. Circuit and District courts, as well as various State Supreme Courts have repeatedly cited his works.